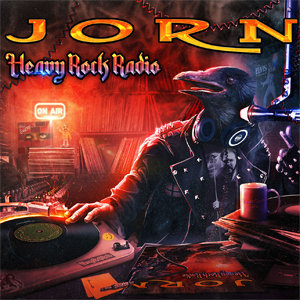 Frontiers Music Srl is excited to announce JORN's new album, Heavy Rock Radio, due for release on June 3rd! One of the greatest rock singers of our time, JORN LANDE returns with a unique album of classics from artists and bands that have meant something special to him, and helped forge this talented man's own unique style. Today JORN releases his new video for the song "Running Up That Hill". Check out the video on KNAC.COM right HERE. Heavy Rock Radio is available for pre-order via iTunes and Amazon. Digital pre-orders include instant-grat track downloads of "I Know There's Something Going On", "Live To Win", "Stormbringer" and "Running Up That Hill". "Rev On The Red Line"